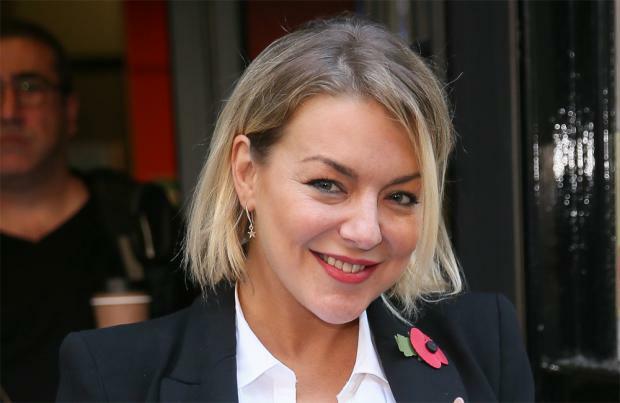 Sheridan Smith will tell stories during her tour because she "can't stop talking". The 37-year-old actress and singer has confessed that during her upcoming 'Sheridan Smith: A Northern Soul' tour, she won't be able to resist dropping in a few anecdotes and also revealed that the performances will include songs from her latest album as well as older stuff. Speaking on BBC Radio 2, she said: "I'm gonna do songs from this album and also probably songs from the last album but also new stuff, I keep kind of asking on twitter, what do people wanna see you know when they come and see it I wanna do a show for the people that supported me. "So there's gonna be lots of big numbers there's a big orchestra and there will be stories you know what I'm like I can't stop talking." It's not just her tour keeping the 'Cleaning Up' actress occupied as the star is busy starting her own production company. The 'Gavin and Stacey' star has "lots of ideas going forward" and is looking forward to pursuing the plans she "really wants to do". She previously said: "I'm in the process of setting up my own production company. "I've got a lot of ideas going forward. It's just so empowering to go and take control a bit more. To try and do things I really want to do and try and be a bit more grown up nowadays." Although the 'Mrs. Biggs' star has been "out of the TV game" for a while, she is set to star in upcoming ITV drama 'Cleaning Up', and admitted that she feels the industry has changed in a positive way. She explained: "I've been out of the TV game for a couple of years and the scripts that I'm booked to do in 2019. "I can see that things are changing for the better in every way. There are more working class female-driven roles."